On Friday, December 18th history was made. The Senate approved a bill - which is now awaiting the President's support - to phase out personal-care products such soaps, body washes, toothpaste and more, containing plastic microbeads in 2017. 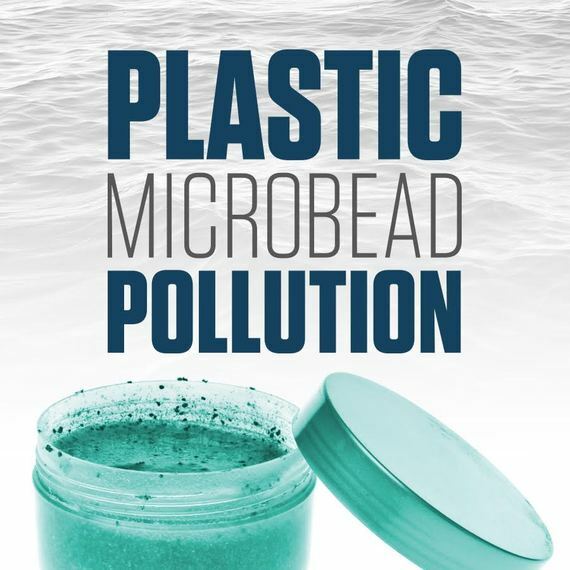 This comes on the heels of the House of Representatives' decision, just one week earlier, to pass a bill to ban microbeads too, including so-called "biodegradable" plastic microbeads. Why is everyone working to "ban the bead?" Super tiny, but insidiously dangerous, these long-lasting micro-plastic particles wash down our drains, and because they are too tiny to be filtered by municipal sewer systems, they travel directly into the ocean. That is when the real damage begins. Often mistaken as fish eggs, marine life "eat" the microbeads, which are known to absorb toxins. But things don't stop there. The toxin-filled microbeads travel up the food chain to us, as we're likely to then eat seafood that have ingested these microscopic bits of plastic. Nine states have already outlawed microbeads and it is great to see a ban being considered at the federal level. But some are questioning if the laws are moving fast enough. The federal bill, if it becomes law, isn't slated to go into effect until 2017 and California, one of the largest states to pass a law, which happens to be one of the most stringent, is set to start in 2020. Even with all this progress, the question that must be asked is, "What damage will occur before the microbead bans go into effect?" 1. Researchers at State University New York, Fredonia calculated an average of 17,000 microbeads per square kilometer in Lake Michigan. 2. A report published by the College of Science at Oregon State University found that eight billion microbeads are sent into aquatic environments each day in the U.S. This number translates to approximately 2.9 trillion beads per year, which according to an article written by Oregon State University is "enough to wrap the Earth more than seven time if lined up end to end." 3. Science Alert equates the eight billion microbeads sent into our waters each day as "enough to cover more than 300 tennis courts." 4. Litter, including plastics and microbeads, are already costing each one of us. The Natural Resources Defense Council estimates that 95 communities in California have already spend $428 million per year to prevent litter from becoming pollution. Imagine what total cost would be for all of California, or the rest of the United States! By avoiding waste in the first place, this money could be put toward other issues. We just need to make better choices when it comes to avoiding single-use plastics and microplastics in the first place. For these reasons, there is no need to wait for laws to pass and be enacted. Each of us can stop microbeads from entering our waters today. It's simple. Do not buy products - ranging from toothpaste to body scrubs to face wash - that contain them. It's time to start checking your labels. If you see the words "polyethylene" or "polypropylene," which represent microbead materials, choose another item. While each of us take personal action to become more thoughtful consumers and shoppers, the Surfrider Foundation will continue to advocate for microbead regulation while we wait for President Obama to sign this bill into law. It's all hands on deck to rid the world of this senseless and avoidable form of plastic pollution.